How do we know our new home really 6 star? This is a question that we're sometimes asked. Depending on your climate zone (there are heaps in WA), your homes orientation, what you've built out of (the fabric of your home) & to a lesser extent the colours & floor coverings of your house, your star rating should come with a data report that explains (although not very well) what each room in your house is doing energy wise. The reports show how many mega joules per square metre (that is MJm2 heat & cool) the space makes so that it can remain at a level that feels comfortable to live in. The higher the levels the more expensive it will be to keep those rooms (or whole house) at a comfortable level, you might have a 6 star house but the levels may be so high that it is going to cost you a fortune to feel comfortable! 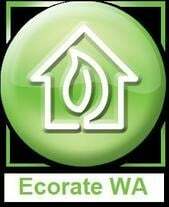 At Ecorate WA, we go the extra distance to not only get you a 6 star or above home, but pay special attention to the energy levels so that you your getting value for money, as we say, we're good for your pocket & your home.